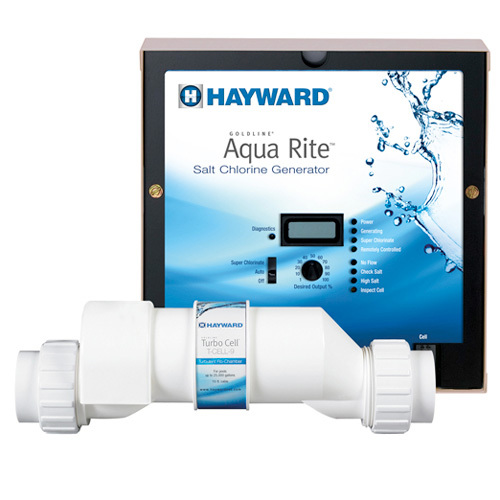 Halogen Supply is proud to offer Hayward Aqua Rite, a renowned salt system. 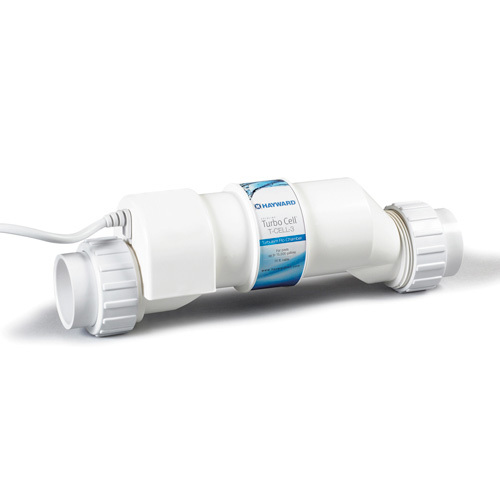 Used as an alternative to traditional chlorine sanitizing solutions, salt chlorinators are efficient and extremely convenient. Plus, no more bloodshot red eyes or itchy skin – just silky, sanitized pool water! Aqua Rite provides complete pool and spa sanitation using ordinary salt. This environmentally friendly and self-renewing process produces up to 1.45 pounds of chlorine a day, enough to keep the water in a 40,000-gallon pool clean, clear and luxuriously soft. Halogen Supply is a renowned distributor of pool products for both residential and commercial swimming pools. In the industry for over 70 years, we are proud to offer extensive knowledge to help you choose the best products for your pool or spa. Our staff is available and happy to help answer any questions you may have! Please contact us online or give us a call at 800.777.SWIM.